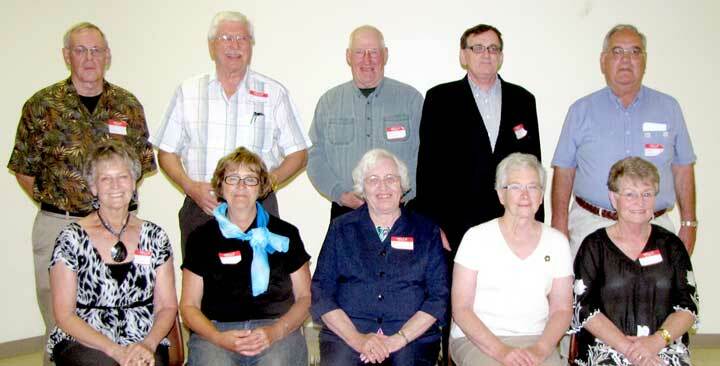 On the occasion of the 50th anniversary of the graduation of the Class of '59 from the Carrot River High School, a reunion was held in Carrot River on August 21 and 22. One of the advantages of going to school in a smaller community is that one has friends in other grades as well, we invited the classes of 58, 57, 60, 55, and 56 to also join us. 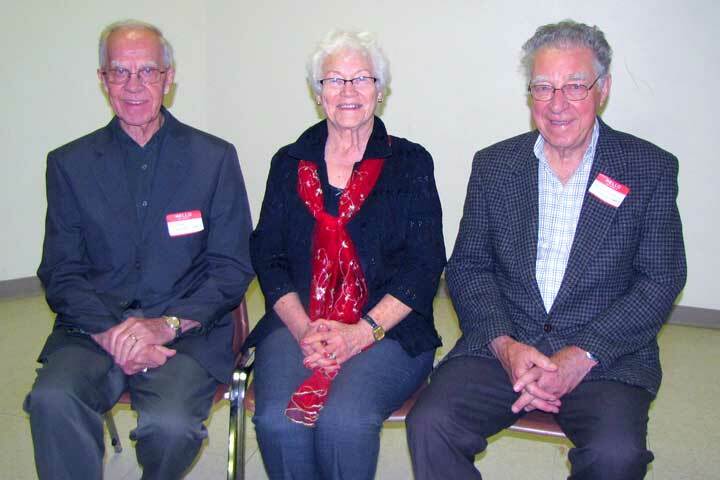 We feel very fortunate in that we also had three of our teachers accept our invitation; Mr. Henry Braun of Regina, who was our grade twelve math teacher; Mr. Erwin Ziolkowski of Regina, who was our grade nine math teacher; and Mrs. Boehm (Miss Sheehan) of Saskatoon,who was our grade six teacher. There was a good response to our invitations, and 97 people gathered in the Community Hall in Carrot River on Friday afternoon, August 21. Once name tags were affixed, there was a lot of reminiscing and catching up going on. 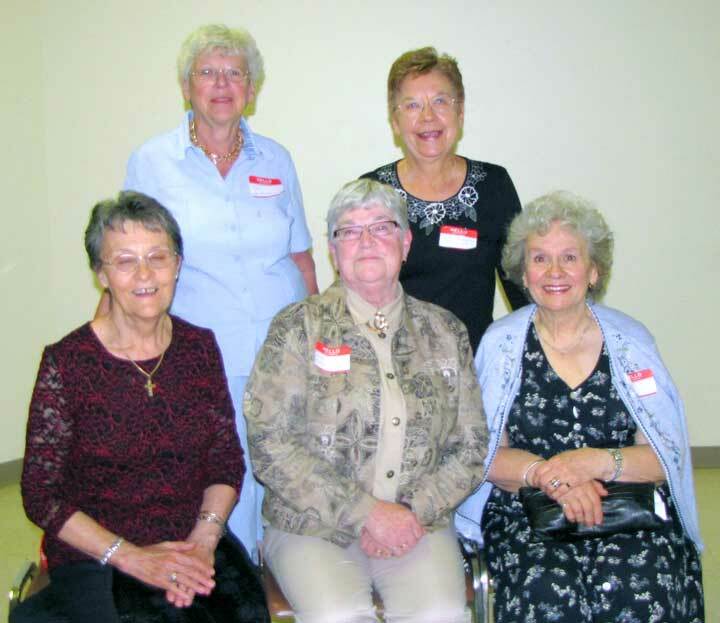 At 6:00 PM Jean (Boey) Dean called everyone to order, welcomed them to Carrot River, and introduced Dale Perkins, from the Class of '59, to ask the blessing. We enjoyed a tasty meal of barbecued beef expertly prepared for us by Lori's Country Catering of Arbourfield. As we were finishing our Saskatoon pie and ice cream, Darlene McCullough, Master of Ceremonies for the evening, began the program. After a round of applause for the very efficient catering group, she thanked the class contacts for the other classes involved in the reunion; Henry Remai and Wayne Gentner for the Class of '58, Doug Meachem for the Class of '57, Dennis Tretiak for the Class of 60, Della (Mooney) Janzen for the Class of '55 and Mae (Van Meter) Colvin for the Class of 56. Darlene looked after the communication with the Class of '59 and she e-mailed the class contacts with the information and they in turn passed this on their classmates. A moment of silence was observed for those classmates that have passed away. The teachers were then given the opportunity to share a few thoughts with the group of former students. Darlene then drew to everyone's attention the displays of photos and memorabilia and then followed this by a short quiz to revive some of those high school memories. The mike was opened to any one who wished to share some thoughts with the group. In closing the program, Darlene read a list of what each graduate in '59 had said they wanted to be in both grade ten and grade twelve, and what they ended up doing as a career. Following the formal program, class photos were taken and the former students of CRHS were given the opportunity to sign up for the photos to be e-mailed to them or to have prints mailed to them. After some more time to socialize, Claude Hutton, who is a certified teacher of Scottish Country Dancing, taught the group three traditional dances. After some additional time spent socializing, the group finally decided to call it a day and departed - until tomorrow! On Saturday, August 22, 75 of us met from 10:00 A.M. until noon at Pioneer Place in Carrot River for a pancake and sausage breakfast again expertly prepared for us by Lori's Country Catering of Arbourfield. After that final cup of coffee it was time to say our good byes and go our separate ways again. Many of the former students took time to say thank you to Jean (Bouey) Dean and Darlene McCullough, the co-chairs of the reunion. They in turn thanked them for attending. 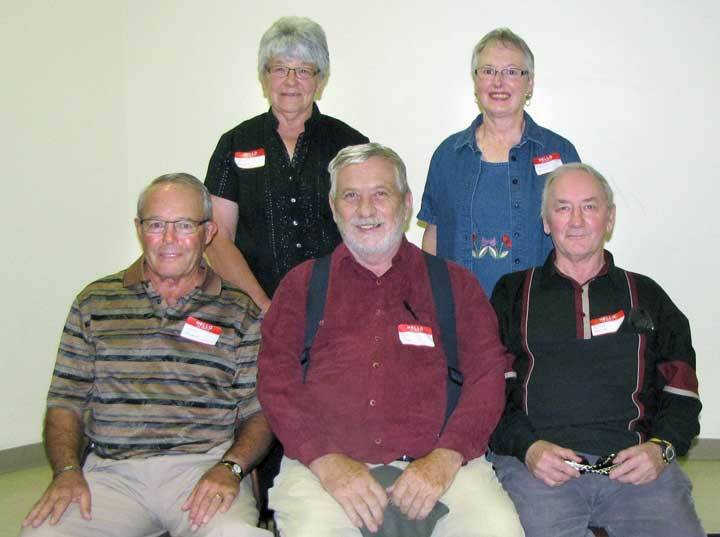 It was a pleasure for us to hear so many of them saying that they were so pleased that they had returned to Carrot River for this reunion.